This issue of The Wealth Counselor addresses a topic that is important to clients and all wealth planning professionals - trusts. When used properly, trusts can provide significant advantages to clients and to the advisors who recommend them. Given the numerous types of trusts, this newsletter explores the general advantages of trusts as well as some of the most common types of trusts. Planning Tip: According to a recent survey, 70% of financial advisors expect that more of their clients will establish trusts. Planning Tip: Revocable trusts can be excellent vehicles for disability planning, privacy, and probate avoidance. However, a revocable trust controls only that property affirmatively transferred to the trust. Absent such transfer, the revocable trust may not control disposition of the trust maker's property. Planning Tip: Unlike with a trust, one cannot affirmatively transfer title of property during life using a will. Also, whether estate planning is by will or trust, it is important to ensure that the client's property passing pursuant to contract (e.g., by beneficiary designation for retirement plans and life insurance) does not thwart the client's planning objectives set forth in the trust or will. The goal of asset protection planning is to insulate the client's assets that would otherwise be subject to the claims of his or her creditors. Typically, a creditor can reach any assets owned by a debtor. Conversely, a creditor cannot reach assets not owned by the debtor. This is where trusts come into play. As a general rule, if a trust maker creates an irrevocable trust and is a beneficiary of the trust (i.e., it is a so-called self-settled spendthrift trust), assets transferred to the trust are not protected from the trust maker's creditors. This general rule applies whether or not the transfer was done to defraud a creditor or creditors. However, the laws of a handful of states (including Alaska, Delaware, Nevada, Rhode Island, South Dakota, and Utah) now permit self-settled spendthrift trusts or what are commonly known as domestic asset protection trusts. Under the laws of these few states, a trust maker can transfer assets to an irrevocable trust and the trust maker can be a trust beneficiary, yet trust assets can be protected from the trust maker's creditors to the extent distributions can only be made within the discretion of an independent trustee. Note that this will not work when the transfer was done to defraud or hinder a creditor or creditors. In that case, the trust will not protect the assets from those creditors. Planning Tip: A handful of states permit self-settled spendthrift trusts or what are commonly known as domestic asset protection trusts. For those clients unwilling to give up a beneficial interest in their assets to protect those assets from future creditors, trusts established under the laws of a jurisdiction that permits self-settled spendthrift trusts or a trust established under the laws of a foreign country, may be appealing. Planning Tip: Consider trusts for the lifetime of the beneficiaries to provide prolonged asset protection for the trust assets. Lifetime trusts also permit the client's financial advisor to continue to invest the trust assets as the client desired, which also helps ensure that trust returns are sufficient to meet the client's planning objectives. The second caveat follows logically from the first: the more rights the beneficiary has with respect to trust distributions, the less asset protection the trust provides. Generally, a creditor "steps into the shoes" of the debtor and can exercise any rights of the debtor. Thus, if a beneficiary has the right to compel a distribution from a trust, so too can a creditor compel a distribution from that trust. Therefore, where asset protection is a significant concern for the client, it is important that the trust maker not give the beneficiary the right to automatic distributions (for example, 5% or $5,000 annually). A creditor will simply salivate in anticipation of each distribution. Instead, the client should consider discretionary distributions by an independent trustee. Planning Tip: Consider a professional fiduciary to make distributions from an asset protection trust. Trusts that give beneficiaries no distribution rights, but rather give complete discretion to an independent trustee, provide the highest degree of asset protection. Lastly, with divorce rates at or exceeding 50% nationally, the likelihood of a client's child becoming divorced is quite high. By keeping assets in trust, the trust maker can ensure that the trust assets do not go to a former son-in-law or daughter-in-law, or their bloodline. With the exception of the self-settled spendthrift trusts discussed above, a transfer to an irrevocable trust can protect the assets from creditors only if the trust maker is not a beneficiary of the trust. One of the most common types of irrevocable trust is the irrevocable life insurance trust, also known as a Wealth Replacement Trust. Under the laws of many states, creditors can access the cash value of life insurance. But even if state law protects the cash value from creditors, at death, the death proceeds of life insurance owned by your clients are includible in their gross estate for estate tax purposes. Clients can avoid both of these adverse results by having an irrevocable life insurance trust own the insurance policy and also be its beneficiary. The dispositive provisions of this trust typically mirror the provisions of the client's revocable living trust or will. And while this trust is irrevocable, as with any irrevocable trust, the trust terms can grant an independent trust protector significant flexibility to modify the terms of the trust to account for unanticipated future developments. Planning Tip: Since federal estate tax is typically not due until the death of the second spouse to die, clients often use a joint trust owning a survivorship policy for estate tax liquidity purposes. However, a joint trust limits the trust makers' access to the cash value during lifetime. 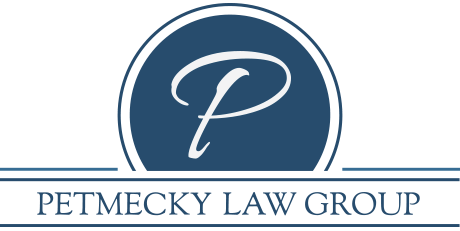 In these circumstances, consider an individual trust with the non-maker spouse as beneficiary. Clients can protect their assets from creditors by placing them in a well-drafted trust, and they can protect their beneficiaries from claims or creditors and predators by keeping those assets in trust over the beneficiary's lifetime. By working together, the wealth planning team can ensure that the plan meets each client's unique planning objectives.